The hottest deals this month. Planning a special treat for this Mother’s Day? 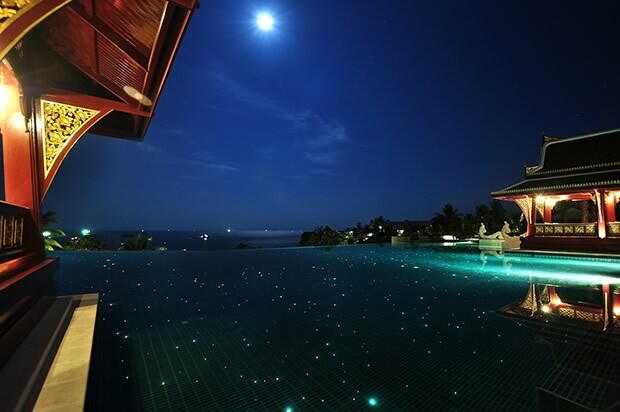 It’s time for Mom to enjoy a luxurious and memorable hideaway in Koh Samui where you can choose to relax in one of the private 105sqm-Pavilion Pool Villa or the luxurious 165sqm-Ocean Front Pool Villa offering world class amenities and full five star services. The nightly rates include roundtrip airport transfer, Bt 2,000 resort credit per day, resort-wide complimentary Wi-Fi, eye opening Le Méridien Breakfast for two, and daily scheduled shuttle services to island attractions. Price for the Pavilion Pool Villa starts at Bt9,999+++ per night, and the Ocean Front Pool Villa from Bt15,999+++ per night. Available for booking until Aug. 31 and stays until Dec. 2013. From Aug. 9-12, enjoy complimentary two glasses of sparkling wine when dining with mum and gets another 25% off from the total food bill at Latest Recipe (maximum of 4 persons per table / per bill). Ramada Plaza Bangkok Menam Riverside is currently promoting the “Be Safe & Choose to Stay’ room offer. Special room rates are offered for anyone seeking a comfortable and convenient place to sleep over after a late night-out. With Asia’s largest night bazaar, Asiatique The Riverfront just five minutes away offering a host of eateries, entertainment outlets, and great shopping, it is easy to forget the time and it may be too late to drive home, so the safest option would be to ‘Be Safe & Choose to Stay’ in a Deluxe room for onlyBt2,000 or Plaza Suite for Bt2,500 per room per night. Terms and conditions apply. Centara Grand at Central Plaza Ladprao Bangkok has a special package for its Club accommodations, with rates starting at Bt3,560 per night for a Club Deluxe Room if they stay for two nights or more, along with 15 percent off on regular a la carte treatments at Spa Cenvaree and 25 percent off on all spa packages. Guests also receive all Club benefits. The package is available until Oct. 31, and rates subject to service charge and government tax. It is available only for online booking at www.centarahotelsresorts.com/centaragrand/cglb/promotion.asp. 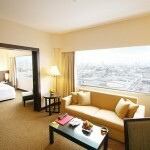 The Sukosol Bangkok introduces the “Executives Package” for a professional and pampered VIP stay from now until Dec. 31. Book the two-night package for a stay at the Club Siam DeLuxe Room at Bt9,400++ for two inclusive of Club Lounge access with daily breakfast, a signature drink at Sapphire bar, special late checkout at 3 p.m., in-room fruit basket, and more. Shangri-La Hotel, Bangkok offers “River Romance,” a unique escape package available for a minimum of three consecutive nights’ stay valid until Sept. 30. With rates starting from Bt7,880 per room per night in a Deluxe Room, guests can take advantage of the “River Romance” package benefits, which includes buffet breakfast at NEXT2 Café for two, one way airport limousine transfer, one dinner aboard the Horizon Cruise for food only for a maximum of two persons per stay, complimentary late check-out until 3 p.m. and free high speed Internet access. Terms and conditions apply. 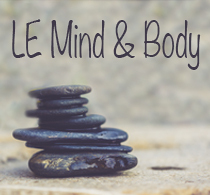 For more information or reservations, contact 02-206-8788 or e-mail: reservations.slbk@shangri-la.com. Whether you’re a Bangkok resident desiring a change of pace or a foreign visitor to the Land of Smiles, Novotel Bangkok Fenix Silom’s new “City Break” promotion is for you. 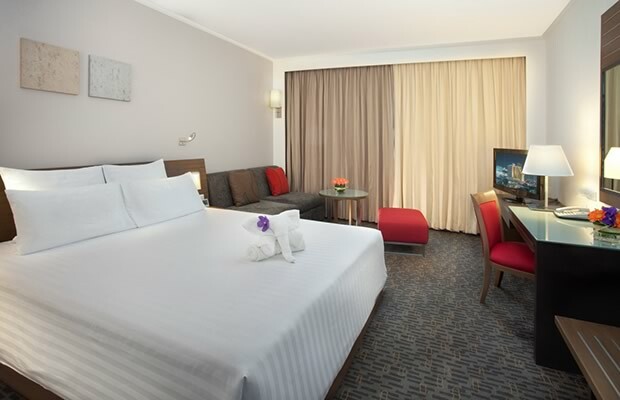 The promo starts with rates at Bt1,980++ includes breakfast, Wi-FI, and parking – and apply to all room types. Offer is valid until Dec. 31 with no blackout dates. 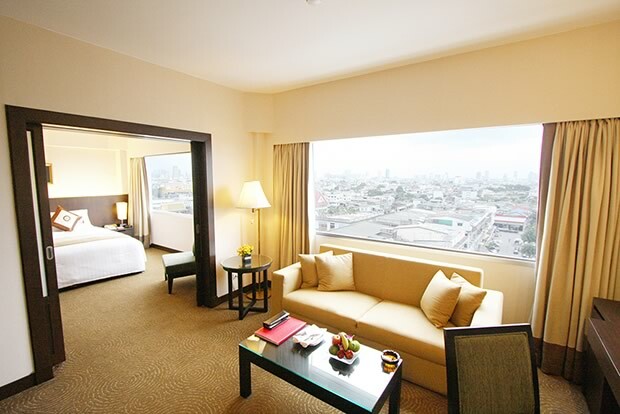 Pathumwan Princess Hotel has a “Family Holiday Package” for just Bt7,000 net per suite per night. Relax in the style and comfort of a 63sqm- ExecuPlus Suite with its separate living and sleeping rooms, and kids benefits perfect for holidaymakers with children in tow. Offer valid until Sept. 30. For more information, contact 02-216-3700, ext. Sales & Marketing Dept. Local residents and expatriates can enjoy an enchanting stay at The Peninsula Plaza with its elegant views of the Chao Phraya River by taking advantage of “The River Escape” offer at Bt6,900 per room per night. The package, valid until Oct. 31, includes following privileges: accommodation in a Deluxe Room with glorious river views for two; complimentary international daily buffet breakfast for two; complimentary buffet dinner for two persons per stay at River Café and Terrace; or a complimentary 50-minute aromatherapy massage for two at The Peninsula Spa. Enjoy the ‘Explore Bangkok” special promotion at The Ascott Limited’s (Ascott) serviced residences with prices starting at Bt1,500. You will also benefit from a late checkout and complimentary services including daily housekeeping and Wi-Fi Internet access. This promotion is valid for a minimum stay of two consecutive nights from now until Sept. 30. 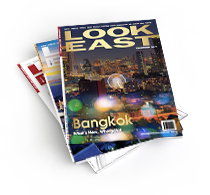 Ascott has nine properties in Bangkok for you to choose from. They are Ascott Sathorn Citadines Sukhumvit 8, Citadines Sukhumvit 11, Citadines Sukhumvit 16, Citadines Sukhumvit 23, Somerset Lake Point, Somerset Park Suanplu Somerset Sukhumvit Thonglor, and Vic3. 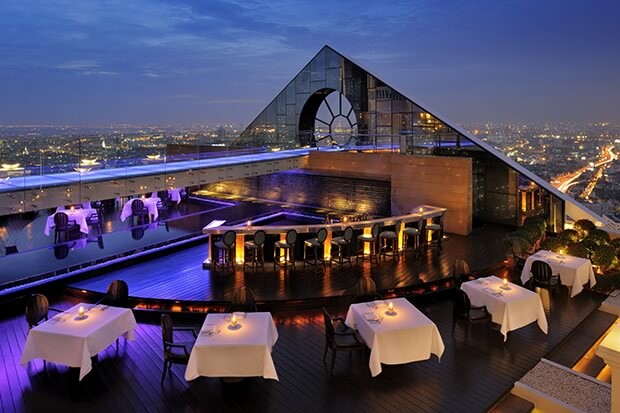 Tower Club at lebua offers an ultimate “Girl Getaway Package” with luxury benefits to ensure unforgettable getaway. 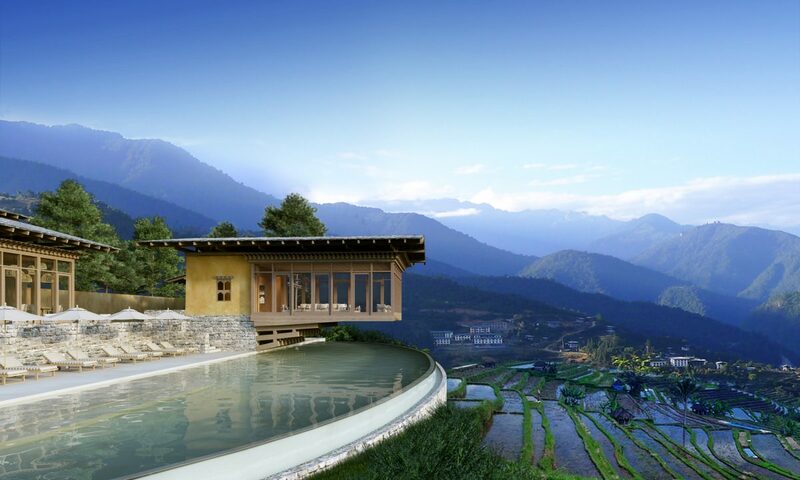 The package, at only US$799++ for double occupancy is offered from now until Oct. 31. Benefit includes two nights stay at 1-bedroom Riverview Suite, Tower Club at lebua; round-trip airport transfers by BMW 7 series plus Meet and Greet service at the airport with fast track immigration; drop and pick up to Shopping District in Bangkok by BMW 7 series, once during the stay; one lebua Signature Massage (60 minutes) during the stay; Chef Tasting Menu at The Asian Alfresco Restaurant – Breeze on 51st – 52nd floor; and more not to mention exclusive use of the Tower Club Lounge. Terms and conditions apply. 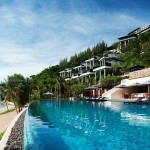 Regent Phuket Cape Panwa is offering the indulgent “Romance to Remember” package from now until Oct. 31. This enchanting honeymoon package allows couples to rediscover the passion within, while indulging in a luxurious and memorable getaway. The package includes 3-nights’ accommodation for two in a luxurious Suite or Pool Villa with a guaranteed ocean view and private balcony. This package features a 3-hour ‘Regent Indulgence’ spa treatment for two, an intimate set dinner at The Grill Lounge (for Suite guests), a seductive in-room set up comprising romantic flower bath and a complimentary bottle of sparkling wine paired with sweet chocolates upon arrival. The rate for the Pool Villa Package is Bt54,000+++, with the Suite Package priced at Bt41,000 +++, subject to a minimum stay of three nights. Terms and conditions apply. Holiday Inn Phuket Patong Beach Central is offering a special opening rate, which starts at Bt1,999++ per night for stays from now till Oct. 31. As with all Holiday Inn Express rates in Asia, this is inclusive of free breakfast and high-speed Wi-Fi access throughout the hotel. For more information, visit www.holidayinnexpress.com. 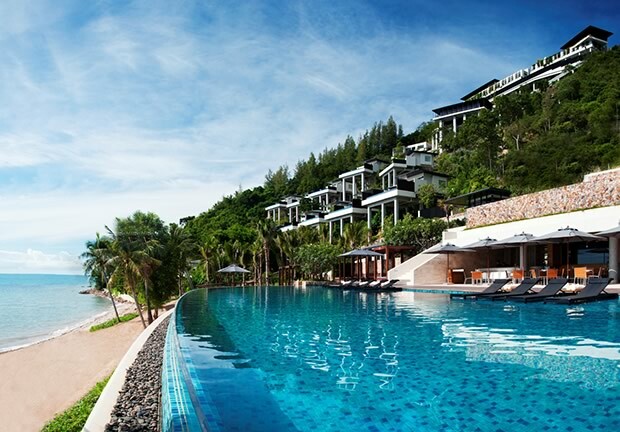 A Hot Deal package is available at Amari Coral Beach Phuket until Oct. 31. Package includes three-nights’ accommodation in a superior room including daily breakfast for two, roundtrip airport transfers, fresh flowers and seasonal fruit basket set up in room upon arrival, complimentary Wi-Fi Internet access in room, 20% discount food and beverage credit per stay, 20% discount at Breeze Spa (cannot be combined with any other promotions) and extra nights at Internet rate. 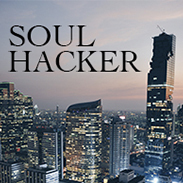 Rate starts from 13,806 THB for 3 nights per room (exclusive of VAT and surcharge). 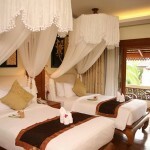 U Sunsuri Phuket presents the “Special Wonder Room Package” with many exclusive benefits. They offer a Superior Room at Bt3,300 net per room per night including breakfast “whenever, wherever” for two. Offer available from now until Sept. 30 only. From Aug. 28 to Sept. 1, Anantara Hua Hin Resort & Spa invites you to enter the amazing world of elephant polo and discover a new passion. The resort’s “Pachyderms and Polo Package” gets guests into the swing of the games marveling at the surprising grace and skill played on the two-ton genteel giants at the 12th anniversary ‘Kings Cup Elephant Polo’ charity tournament. Get to practice your swing on an elephant; savor lunch and a spa treatment at the pitch, have your photo taken with the players and enjoy VIP premium access to all areas. 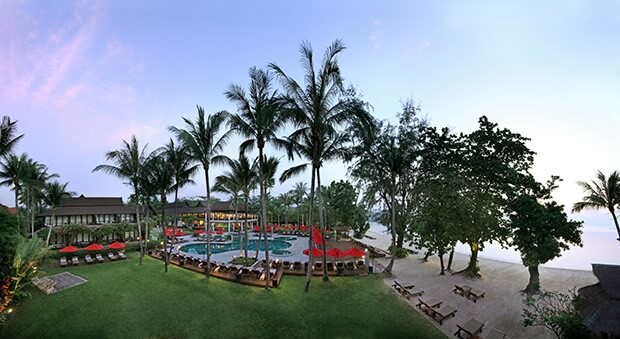 Then after each enthralling day, guests will be whisked back to Anantara Hua Hin to relax in five-star luxury with all transfers between the hotel and pitch and a daily breakfast included. 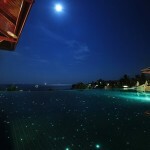 Prices start from Bt9,000++ per night for two with a host of exclusive benefits. Terms and conditions apply. From now until Oct. 31, Amari Palm Reef Koh Samui offers a package includes 4-nights’ accommodation in a deluxe room with breakfast for two persons, roundtrip Samui airport transfers, a 45-minute signature mood massage at Breeze Spa, Bt1,000 credit on food and beverage, Bt1,000 credit for spa treatment, and 5% discount on Internet rates for extra nights. Rates start from Bt20,250 for four nights for two persons sharing (exclusive of VAT and surcharge). 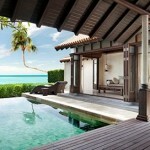 Conrad Koh Samui announces the latest Hilton HHonors loyalty program promotion, “The Great Getaway.” Booking a holiday just got simpler, now through Sept. 30, Hilton HHonors is encouraging travelers around the world to save up to 40% off stays in Asia Pacific, Europe, Middle East, and Africa when booking within the Hilton Honors portfolio. Conrad Koh Samui offers exclusive “The Great Getaway” rates with 20% off stays, starting from Bt18,560* per night inclusive of breakfast for two in an Oceanview Pool Villa for luxurious summer stays (subject to 18.7% vats and service charge). Reservations must be made five days in advance and before Sept. 30. Stays must be completed by Oct. 4, 2013. Full pre-payment, no change and cancellation required at the time of bookings. 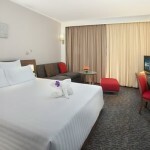 For full terms and conditions, visit www.HiltonHotelsDeals.com. 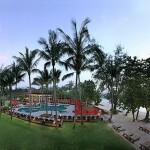 For reservations and information on Conrad Koh Samui, visit www.conradkohsamui.com or send enquiries to conrad_koh_samui@conradhotels.com. 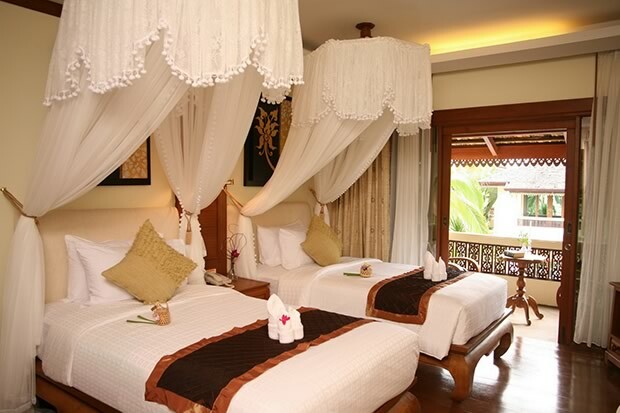 Visitors to Chiang Mai have three different accommodation styles if they stay with Centara. Three Centara hotels currently have special rates and other benefits. Centara Khum Phaya Resort has a summer package until Aug. 31 at Bt8,900, with breakfast for two and a one-hour aromatherapy massage included. Centara Duangtawan Hotel Chiang Mai’s Last Minute offer available until Aug. 17 at Bt 1,235, with breakfast for two; and Away Suansawan Chiang Mai’s Last Minute offer starts at Bt1,200 (until Aug. 17). Novotel Bangkok on Siam Square joins Accor in offering a great deal for Visa Credit Cardholders when joining the Amazing Thailand Grand Sales 2013. Simply book any room and stay before Aug. 15 to receive 10% off the Best Unrestricted Rate, complimentary daily breakfast for two persons and a one-day BTS Skytrain pass, Bangkok Map, and shopping pack, as well as complimentary upgrade to next room category (subject to availability at time of check in) and late checkout at 3 p.m. (subject to availability). Accor Advantage Plus members will receive an additional 10% off upon presentation of membership card at check-in and Le Club members earning -normal points. 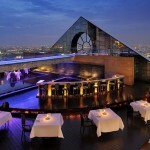 Booking can be made at www.novotelbkk.com or by contacting 02-209-8888.